August was a momentous month for the Trump administration in terms of developing and delivering trade policy, with our review of the history of President Trump’s actions since inauguration the most read report. The launch of plans to increase tariffs on $200 billion of Chinese exports to 25% from 10%, President Xi’s planned retaliation, the run-up to (failed) talks between China and America and our survey of corporate reactions to rising duties also featured. Looking beyond the Transpacific trade war the new tariff-driven sanctions against Turkey by the U.S., the NAFTA-advancing U.S.-Mexico trade agreement and EU-America trade talks drew our readers’ attention. In logistics there was a focus on competition between the freight forwarders, with Expeditors losing out to CH Robinson in July when the peak shipping season showed it could be off to a rapid start. 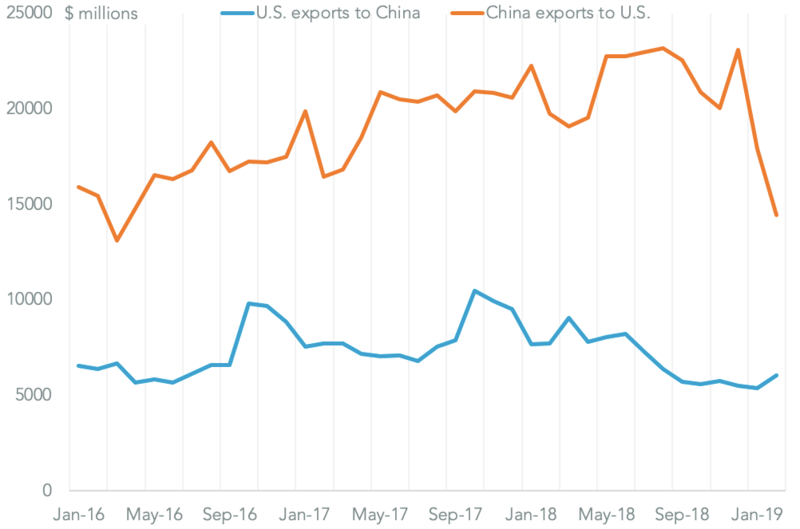 #1 Trump’s Trade War So Far (August 14): Twenty months into the Trump administration the President’s combative trade stance is having a real impact on global supply chains. (1) The policy has been driven by the U.S. trade deficit, which has continued to grow, reaching $823 billion in the 12 months to June 2018. (2) Surging imports, partly driven by importers aiming to beat new duties, have been the main driver culminating in a 6% rise in seaborne imports in July. (3) A mixture of safeguarding, national security and IP related trade cases have applied, or plan to apply, duties on $596 billion of imported products with many products facing more than one case. Some cases have proven highly effective – solar panel imports are down 71% from their peak – while others have been less so so far. 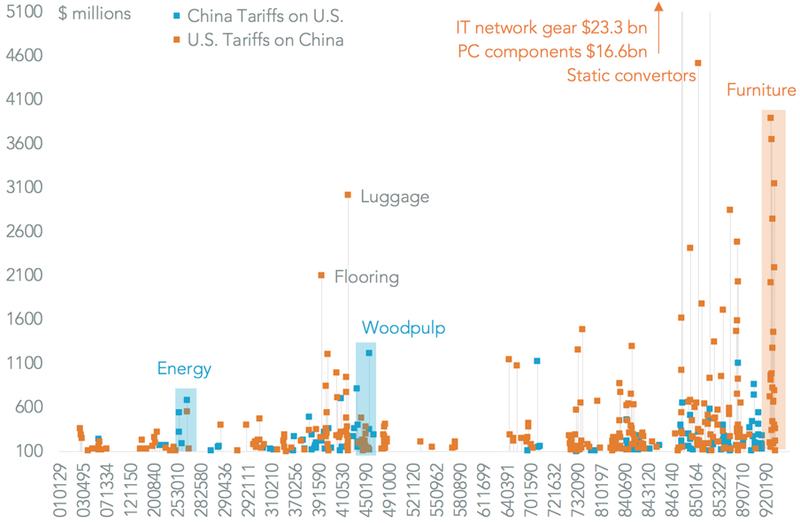 (4) Tariffs invite retaliation, as has been the case with China where initial duties on $34 billion of Chinese industrial products and an equivalent value of American commodities will (5) widen to a total $360 billion of bilateral trade if all current threats are delivered upon. (6) The automotive section 232 review is nearly as big a deal in covering $290 billion of products though so far the automakers appear unconcerned. (7) So far most companies that have been affected by tariffs have increased prices but there’s a risk that some supply chain strategies – for example “country hopping” – could lead to a further round of safeguarding reviews in the U.S.
#2 Expeditors Loses to CH Robinson (August 15): The freight forwarders operating U.S. seaborne services experienced a bumper month in July with a 6% increase in volumes making for the 17th straight month of growth. That reflects a mixture of a strong consumer economy as well as a race to beat new tariffs on Chinese exports. The latter has favored the Asia specialists with Orient Express’s volumes up 27% and Kerry’s by 18%. Yet, not all forwarders did as well. Expeditors experienced a 15% drop in volumes due to a 22% slump in shipments from China. That may reflect an aim by the forwarder’s management to reverse a decline in profitability seen in 2Q 2018. Leading peer CH Robinson by contrast saw a 10% increase, which may reflect a reinvestment of prior profitability improvements as well as a higher exposure to China at 52% of its volumes vs. Expeditors’ 40%. #3 Trump 2.5x’s down on tariff rates (August 2): President Trump has told the USTR to consider 25% duties, rather than just 10%, on $200 billion of Chinese exports as part of the retaliatory process in the section 301 review. That’s driven in part by a desire to force change in Chinese trade policies as well as ensure corporate supply chains are retooled away from China. Many companies have indicated the lower duty rate would just be passed through to consumers. The higher rate also gives flexibility to target fewer than $200 billion of products or deliver the same effect as the President’s threat to target all exports. The largest individual products targeted in the $200 billion list ahead of the consultative process (now extended to September 5) include IT network equipment ($24 billion in the 12 months to May 31) and PC components ($18 billion). The latter are particularly exposed to China (69% of circuit boards and 75% of system parts) and so may need to consider significant supply chain alterations. Other supply chain products targeted include plastics ($11 billion) and chemicals ($10 billion) while consumer goods include furniture ($30 billion) and luggage ($9 billion). #4 Xi’s $60 billion riposte (August 5): China’s Ministry of Commerce has announced duties of 5% to 25% on $60 billion of U.S. exports following America’s plan to apply 25% tariffs to $200 billion of Chinese exports. The duties to be applied by China are wide-ranging and cover 56% of all product categories (HS-8) including 85% of all electrical machinery and 75% of all electronics tariff codes by number. That’s one sign China cannot react symmetrically to U.S. duties. The largest items covered with 25% duties focus on commodities where it should prove simple to swap in other countries’ products. They include wood ($1.83 billion of U.S. exports in the 12 months to June 30), LNG ($675 million) and copper ore ($542 million). 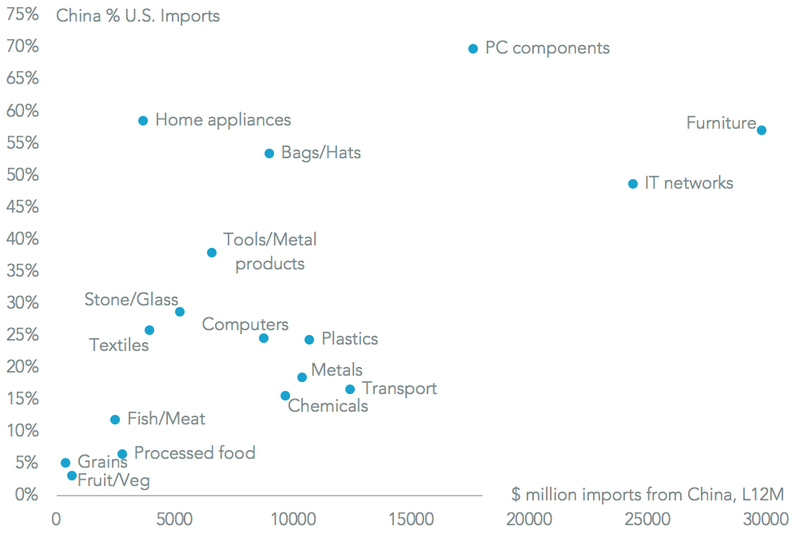 Among manufactured goods there is a clear retaliation against U.S. duties on Chinese electronics exports with coverage of PC accessories and IT network equipment. #5 $260 Billion Cost of Failed $32 Billion Opportunity (August 27):The first round of China-U.S. talks designed to lay the groundwork for a wide-ranging agreement between President Xi and President Trump in November appear to have made little progress. An exchange of views and a commitment to (as yet unscheduled) further talks were the main outcomes. It is likely that duties on $260 billion of bilateral trade, led by IT industry equipment on the U.S. side and commodities for China, will be applied shortly. The final list may be adjusted following consultation by the U.S. government with business representatives. Those finished this week with testimony from waterfront employers. 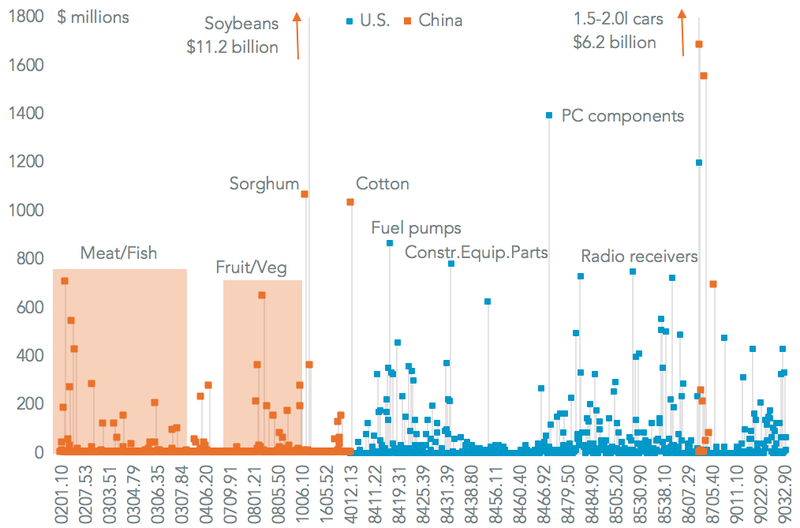 The top 25 products being targeted by the U.S., by value, in the $200 billion list include bulky items such as furniture and auto-parts which accounted for 25% of China-U.S. containerized trade volumes alone. 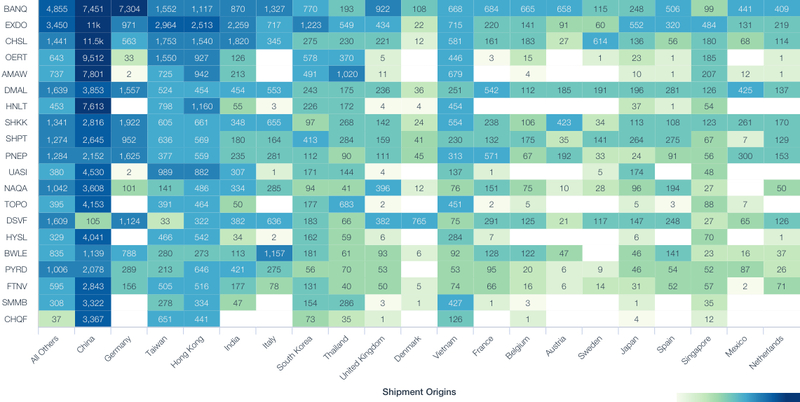 LA and Long Beach accounted for 49% of shipments of the top 25 in the past 12 months while COSCO Shipping and Evergreen were the largest liners. 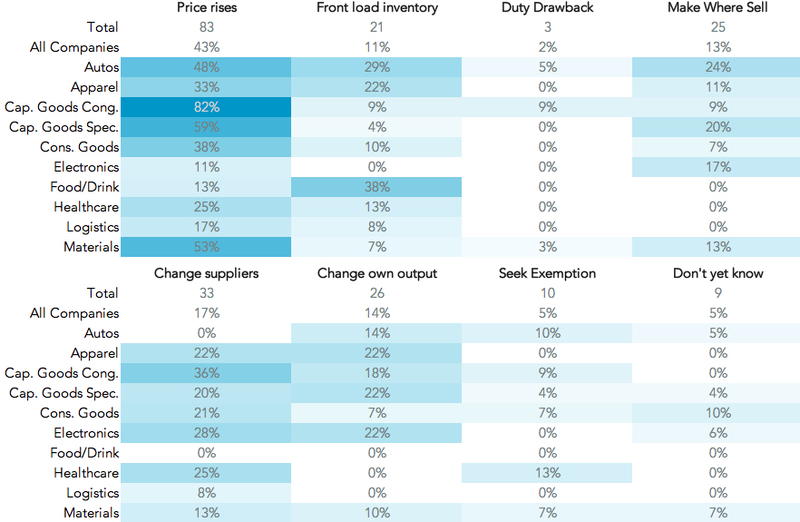 #6 Price Rises Preferred to Supply Chain Retooling (August 3): During the 2Q earnings reporting season companies were asked about the impact of tariffs on their supply chains. Our review of over 190 companies’ comments shows 47% of companies have seen higher costs including more than 60% of autos, healthcare, specialty capital goods and consumer goods firms. Corporate reactions have centered on price increases with 47% of companies either having already implemented them or planning to. That rises to 82% of capital goods conglomerates and 59% of specialty capital goods firms. Supply chain retooling including changing suppliers (17%) or moving own factories (14%) has been less popular with only one quarter of firms planning to do so. That often that’s because tariffs are not seen as being permanent. 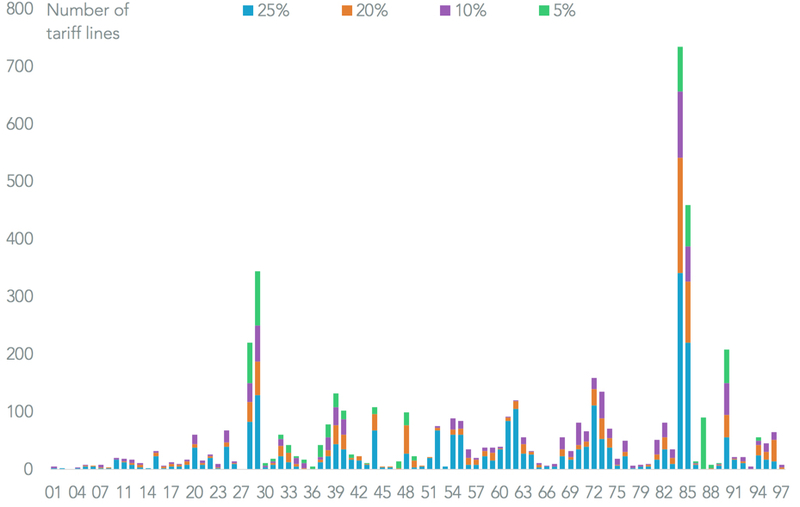 Inventory front-loading, a temporary response, has only been used by one-in-ten companies while one-in-eight follow a make-where-sell strategy and are somewhat immune as a result. #7 Trump takes on Turkey with Tariffs (August 13): President Trump has announced that section 232 duties on steel and aluminum will be doubled for exports from Turkey. That forms part of a widening set of sanctions against Turkey and is an innovative use of the national-security basis for section 232 duties. Presumably the use-case could be widened to other American sanctions targets including Russia and represents another source of corporate supply chain. 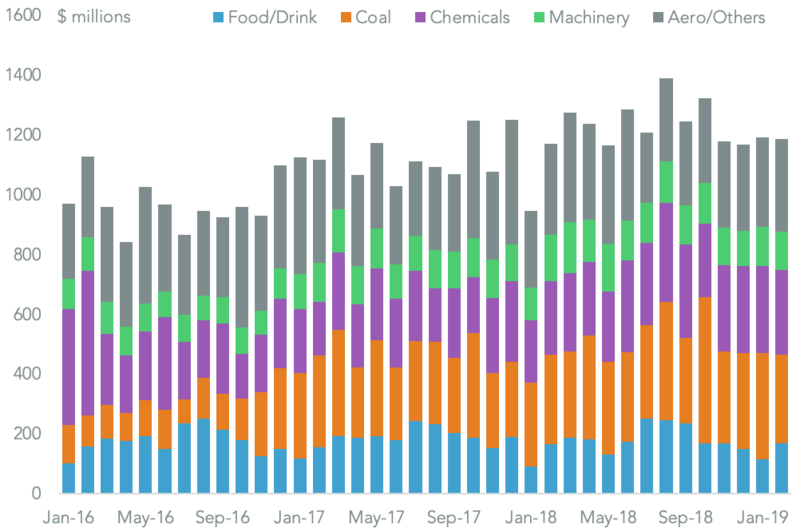 Turkey is a relatively small part of U.S. steel and aluminum imports with $938 million of exports having represented 2% of the total in the 12 months to June 30. Yet, there could be a significant impact on the supply chains of American buyers including the local subsidiaries of ThyssenKrupp (52% of seaborne shipments from Turkey in the past 12 months, led by flat-rolled steel) and Borusan Mannesmann (16% mostly accounted for by steel pipes). #8 NAFTA Passes MUSTA (August 27): The U.S. and Mexico have reached agreement on a series of NAFTA updates covering manufacturing, agricultural and technical measures. Importantly an agreement has been reached on automotive rules of origin – the autos sector accounted for 97% of America’s trade deficit with Mexico. The next stage is to bring Canada into negotiations. President Trump has indicated a withdrawal from NAFTA (to create a “U.S.-Mexico Trade Agreement”) and / or tariffs on Canadian vehicles (as part of the section 232 review) may be applied. Yet, it isn’t clear that the President’s Trade Promotion Authority would allow the former. The dairy industry may be an area for Canadian compromise. 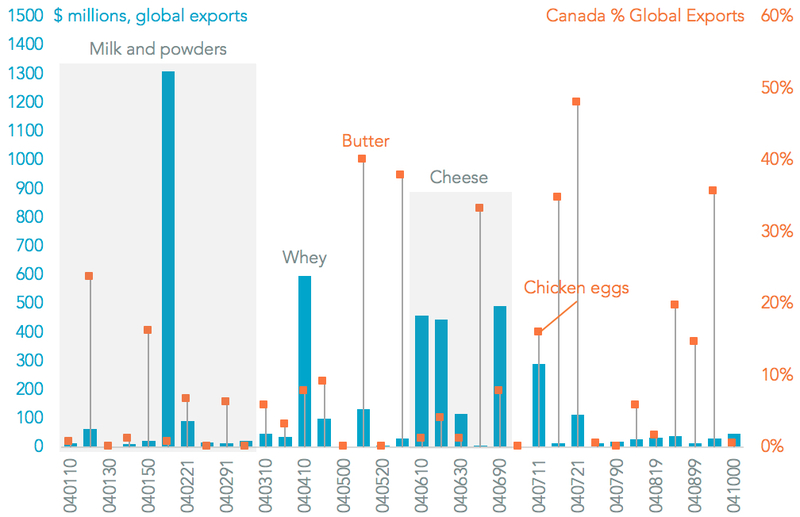 Canada represents just 8% of American dairy exports with significant expansion potential in milk powder (0.1%) and cheese (4%) in particular. Canada and Mexico will also need to reconcile CPTPP and NAFTA rules for a trilateral deal to work. Shipments of cars with mid-size engines from Mexico are 17% of exports to Canada with potential wins in the electronics and healthcare industries available. Finally it isn’t clear that all U.S.-Mexico controversies have been settled. There’s no mention of the energy sector where the new Mexican government wants to cut its reliance on U.S. refined oil products, potentially cutting its $28 billion of imports. 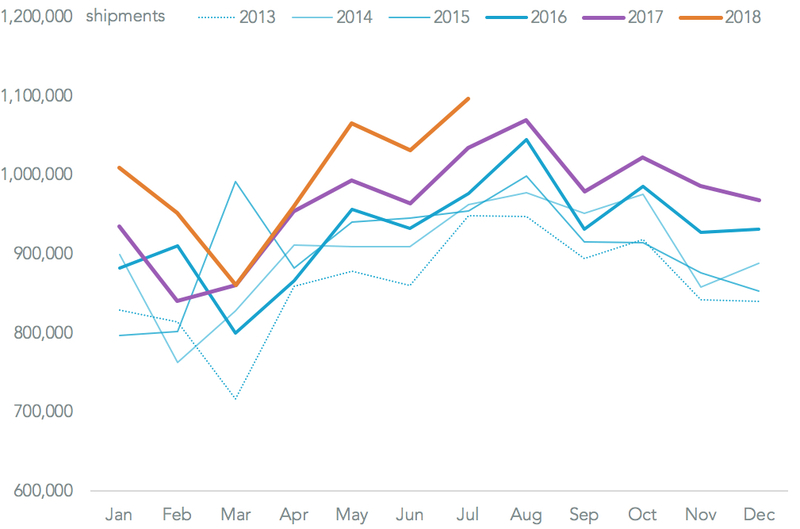 #9 Peak Shipping Season Roars (August 13): As we head into the peak shipping season it appears President Trump’s widening range of import duties not yet had a marked impact on imports. Seaborne imports rose 6% in July to reach a new record despite the imposition of 25% duties on $34 billion of Chinese exports – which in aggregate rose 6% on a year earlier – from the start of the month. Imports from the EU – where President Trump has reached an apparent detente with President Juncker – rose by even more at 9%. Among seasonal consumer products it was toys which have grown the most quickly at 14% despite the absence of significant tariff threats against Chinese supplies (69% of the total). Second was the furniture industry where there was 8% growth ahead of tariffs that are threatened for some products later in the year. In the industrial sector automotive imports actually fell 5% despite the threat of section 232 duties, possibly reflecting the importance of weakening car sales. 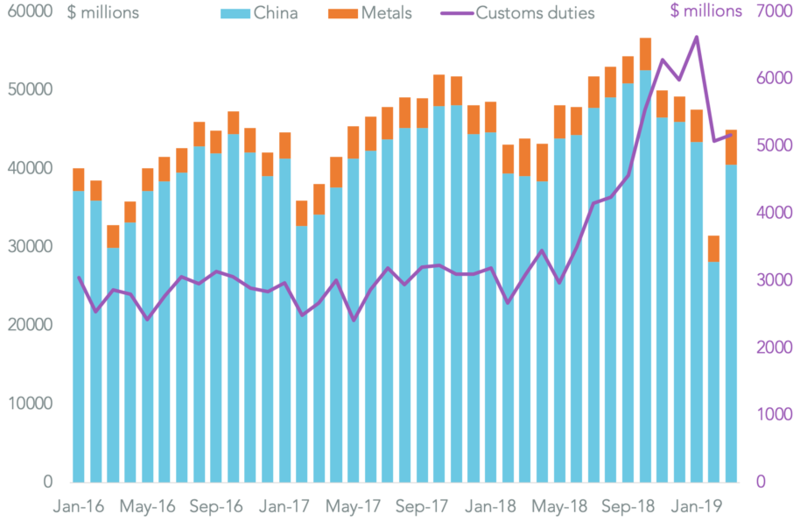 With the bulk of President Trump’s duties on China only taking effect from late August onwards and given that consumer confidence remains near the highest in over a decade, continued growth in American imports looks likely. STRONG FUNDAMENTALS, CONSERVATIVE SHIPPING OR TARIFF WORRIES? #10 Trump-Juncker Follow-up Agenda Set (August 16): Talks start on August 20 to formalize commitments made by President Trump and President Juncker to cut duties between the U.S. and EU while boosting EU imports from America. At a minimum the talks need to confirm what structure a deal will take. It will likely need to be transactional rather than being a formal FTA to avoid Trade Promotion Authority consultations. Nonetheless it will still be significant given the U.S. merchandise trade deficit with the EU was $159 billion in the 12 months to June 30. The automotive industry needs to be central to discussions with $63 billion of EU exports to the U.S. threatened by America’s section 232 “national security” review. 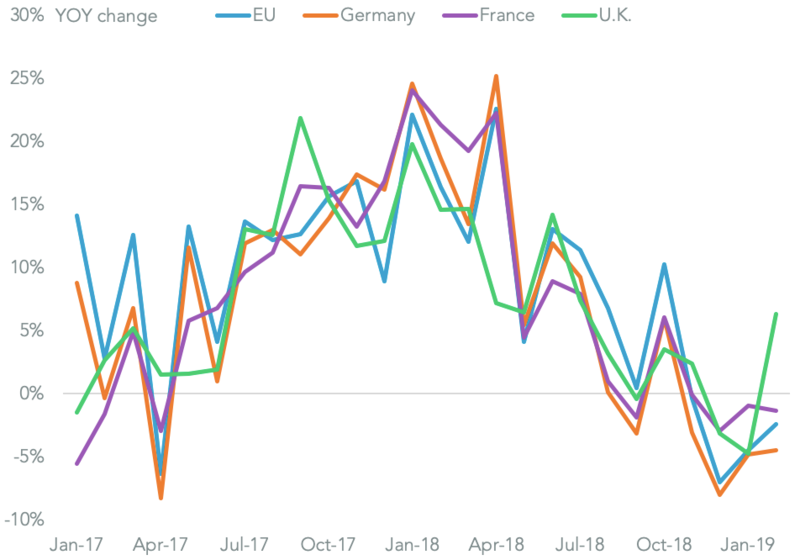 EU automakers appear concerned about changes with July vehicle shipments to the U.S. up 9% on a year earlier after a 14% surge in the second quarter. While increased purchases of soybeans and LNG will be on the agenda an agreement on grains (the EU imported just 4% of American corn and 3% of wheat exports) and meat (0.2% of pork and poultry) could also yield significant benefits.